We started as a hobby and became involved in rescuing ex-commercial hens. In addition, we now sell chickens and Coops. With an ethos of caring for our chickens to give them an environment in which they thrive before going on with their new families! In addition, we developed Animal Shacks Chicken Hotel. Our customers have absolute peace-of-mind knowing that their hens are in a safe and caring, family environment. By popular demand, we've expanded our care to include small animals too. We have a growing, diverse number of pets here, which include RABBITS, GUINEA PIGS, DUCKS, TORTOISES, HAMSTERS, DAGUS, GERBILS AND OF COURSE HENS. We are able to have many more types of pet, so please do enquire if not on the list. Chicken Coops suitable for flocks 2-15. Clean Coops with a good size, fox-proof pen. Mice/rats/gerbils/hamsters can be brought in their existing cage, or, for a small charge, have one of ours. All animals will be let into their individual enclosures early morning and safely closed into at sunset, making sure they are safe, dry and warm. In the unlikely event that your pet requires vetenary attention, we will try to consult with you first but we will not let a pet suffer and will seek vetinary care if need be. All charges incurred are your responsibility. All pets have their own housing and run, they will only share if they are bonded with the Pet they share with at home. 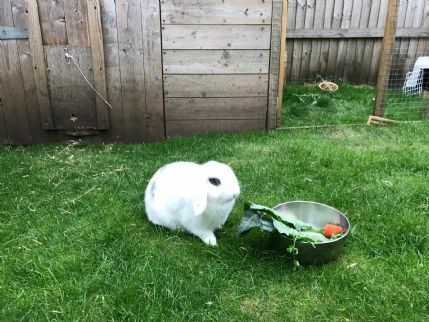 WE ASK TO SEE (AND COPY) YOUR RABBITS CURRENT VACCINATION RECORD AGAINST MYXAMATOSIS AND RHD 1&2 WE REGRET THAT WE WILL NOT, UNDER ANY CIRCUMSTANCES, BOARD A RABBIT WITHOUT SEEING THEIR RECORD. Tortoise £4-6 pn depending on size, or two bonded sharing, £6-8pn Depending on size. We add a nightly charge of £1 for Pets requiring heated accommodation. NB: We are open during the Christmas period. Christmas Day, Boxing Day and New Year's Day incur an additional £5 per stay fee, all other days over Christmas are as normal. ALL ARRIVAL AND DEPARTURES ARE BY APPOINTMENT ONLY. NB:- WE ARE CLOSED SUNDAY AFTERNOONS AND ALL DAY MONDAYS. Chickens:- wing clipping, nail clipping, worming.. I felt completely at ease when we left my son's hamster here. The owner seems a genuine animal lover. This place is beautifully located within a short distance from Ashford. The cost was really good. Our hamster was taken care of, and was returned to us after a month looking great too.